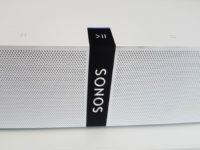 The Sonos Beam soundbar offers exceptional sound for its size, easy wireless connectivity to your content and good looks in spades. Sporting more compact dimensions and refinements in technology from its predecessors the Sonos PlayBar and Sonos PlayBase, the Sonos Beam is essentially an affordable soundbar in their line-up for those looking to get a leg up in establishing a decent home theatre setup. 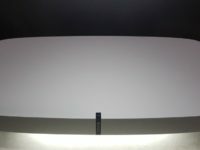 The Sonos Beam is about half the size of Sonos’ flagship Playbar at about 26 inches in length and about 4 inches in height, making it vastly more man portable and able to fit neatly under most TVs, and perhaps an ultrawide display on your desk in a pinch. Optionally, you can purchase a wall mount if you prefer for about €69 which works out to about RM320. Externally, the Sonos Beam comes in your choice of either a black finish or an all-white variant which was the colour our test unit sported. It has been said that half the fun in getting a new item of tech is unboxing it and Sonos has certainly not neglected the experience. The whole affair comes protected with a protective white slide-out cardboard sleeve. 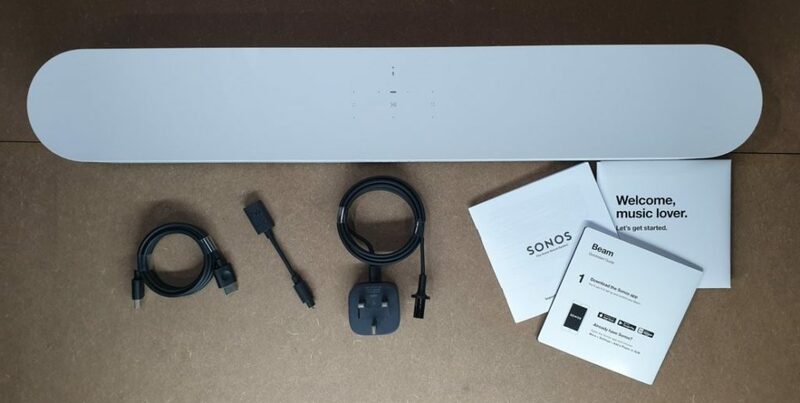 Slip that out and you get a sturdy cardboard box with neat inserts that hold the Sonos Beam and its accessories. The soundbar itself is further protected by a soft fabric sleeve to ensure that nicks do not besmirch its pristine finish. Once you’ve lovingly removed it from its protective fabric sleeve, you’re greeted with quite a sight. The whole affair is done up with a matte white finish though it is also available in black. Rather than the intricately machined holes boasted of by the PlayBase, the Beam instead swathes its sides in fabric which also lends it an interesting tactility that contrasts with the lustrous cold metal casing. Up top, the Sonos Beam is an exercise in elegant minimalism with just a series of symbols to indicate touch-sensitive controls to manipulate the volume, the built-in mic for Alexa as well as to play and pause content. The Sonos Beam doesn’t ship with a remote control though; you’ll primarily be using the Sonos app on your phone to get about though this is by design. In their quest for minimalism, the Beam supports HDMI Audio Return Channel (ARC), a standard able to synchronise the audio on a TV with that on a paired up speaker so you can potentially connect all your HDMI kit to your telly and then hook up said TV to the Beam. 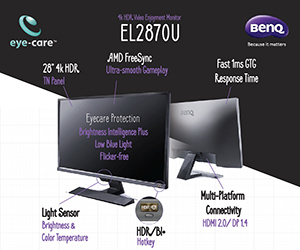 In effect, you can rely on your TV’s provided remote. This is on top of its ability to act as a smart speaker as it comes baked in with Alexa support though it currently lacks support for Google Assistant though it will come via un update later and Siri support on a Sonos is mostly limited to manipulating content playback. The rear comes with a subtle indentation that holds a HDMI port, an Ethernet port for hardwired connections in lieu of the built-in Wi-Fi, a power button and the obligatory cable to hook up the Beam to the mains. Under the hood, the Sonos Beam is armed for bear with four drivers, three passive radiators and a centre tweeter to deliver convincingly good surround sound. Setting it up is a doddle for the most part as all you need is to get it out of the box and hook it up to the mains before connecting to it wirelessly via a phone, TV or other device. What elevates it above the norm though is the inclusion of their TruePlay tuning software that analyses the dimensions of the room that you place the Sonos Beam in so that it can tweak the output for best results. Unfortunately, TruePlay only works with iOS kit at the moment which is irksome indeed for those who don’t own an iPhone or iPad. The Sonos Beam was designed as a speaker for a modestly sized living room and in that regard, it accomplishes the task marvelously. The Sonos app unifies the myriad of streaming and listening services that the average user is wont to have such as Spotify, Apple Music and the like in one place for easy access. 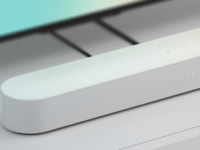 The Beam also has support for Apple’s Airplay 2 to allow you to stream audio directly from your iPhone, iPad or other Apple gear straight to your Sonos and manipulate multiroom playback as well as the possibility of pairing up older non-Airplay 2 compatible speakers into a group with the Beam to form a pseudo-smart grouped set of speakers. The magic of Sonos’ far-reaching vision on connectivity is apparent here as you can easily combine additional Sonos hardware like their Play 1 or 3 in a room into one-unified home theatre setup without undue effort nor having to muck about with a ton of cabling. Dig into the app and you’ll encounter a wealth of settings including the obligatory equaliser option as well as several scenario specific settings like a Voice Enhancement mode for movies that ensures more audible dialogue even in Michael Bay style movie with explosion aplenty as well as a Night Sound mode that dulls down said explosions for night time viewing in order to avoid waking up the house and half the neighbourhood. If you need to kick up the racket, it has a Loudness mode that adds way more rumbly oomph to bass. When tested with and without a TruePlay tuned area, the Sonos Beam didn’t deliver a discernibly different performance which is gratifying for Android phone owners. When subjected to gaming, it served up a surprisingly vivid soundstage with visceral audio from small arms fire in PUBG and Black Ops 2. When tested with tracks across a variety of genres, the Beam proved a solid all-rounder capable of tackling subtle tracks like Joanna Wang’s ‘Imagination’ and ‘Vincent’. Thumpier tracks like Ramin Djawadi’s titular Pacific Rim opening title were delivered with a spaciousness to its soundstage that allows the track to work its magic with adequate levels of bass. Pink Floyd’s acoustically challenging ‘Time’ was also rendered due justice with a pleasant level of competency belying the Beam’s price tag. While the bass is solid for its size, you can optionally augment it with the Sonos Sub wireless subwoofer for extra oomph. John Wick’s Red Circle club scene where he dispenses his own brand of justice to the tune of Kaleida’s ‘Think’ was amazing with excellent sound separation with each gunshot and whack clearly audible via the Beam. 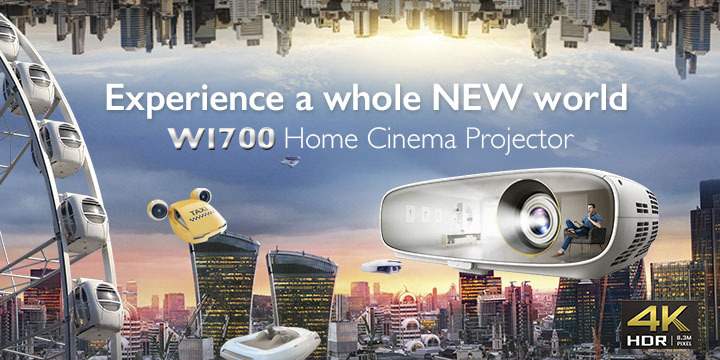 If this is what is achievable by the Beam alone, pairing it up with its siblings like the Play 1 must make for a magical experience indeed though we were unable to test this possibility during our review. If your pockets run deep, you can make the Beam a fully wireless 5.1 system with the provision of a Sonos Sub and two Play 1s though this would considerably spike up the cost. The Sonos Beam is well suited to owners with small rooms or those looking to get started with a wireless home theatre setup with a minimum of fuss and delivers a level of performance belying its size with a balanced audio signature that serves up a great level of detail, a spacious sound stage and a richness of its sound be it for gaming, movies or music in equal measure. 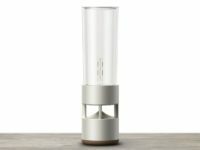 There are some quibbles of course in that Alexa and other virtual assistant services aren’t fully functional here but that does not detract from the fact that the Sonos Beam is a well made and highly capable wireless speaker for its size and price tag that is well worth your consideration. What we liked Slick design fits in with any room or home setup, superb audio quality, easy to setup and stream audio. What we didn’t More HDMI ports would be nice, hard to see if microphone is on or off, TruePlay still needs an iOS device to work. We say The Sonos Beam soundbar offers exceptional sound for its size, easy wireless connectivity to your content and good looks in spades.